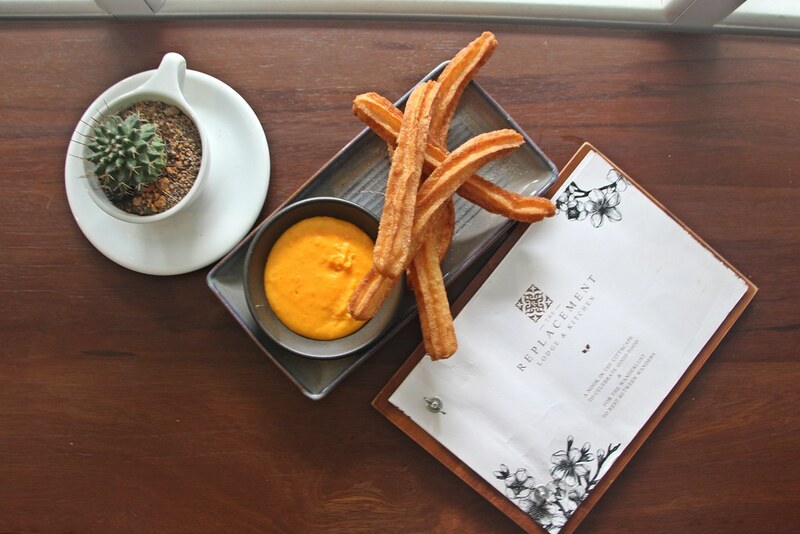 [Malaysia] Johor Bahru’s (JB) café scene has started to pick up in recent years. Search #JBcafe on Instagram, and you will see plenty of pretty food photos. With the convenience of public transport and an attractive exchange rate, everyone can go cafe hopping across the causeway easily. 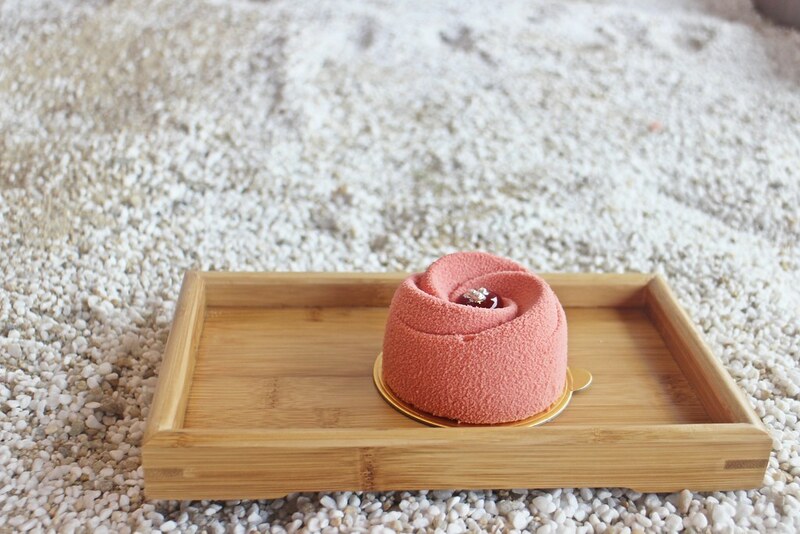 Our Malaysian writer, Hazel, has come up with a list of instagram-worthy desserts in Johor Bahru. Hope it helps you to decide on your next cafe hopping destination. The Replacement Lodge & Kitchen is not a stranger to foodies. Their minimalist design is well-received by many instagrammers. 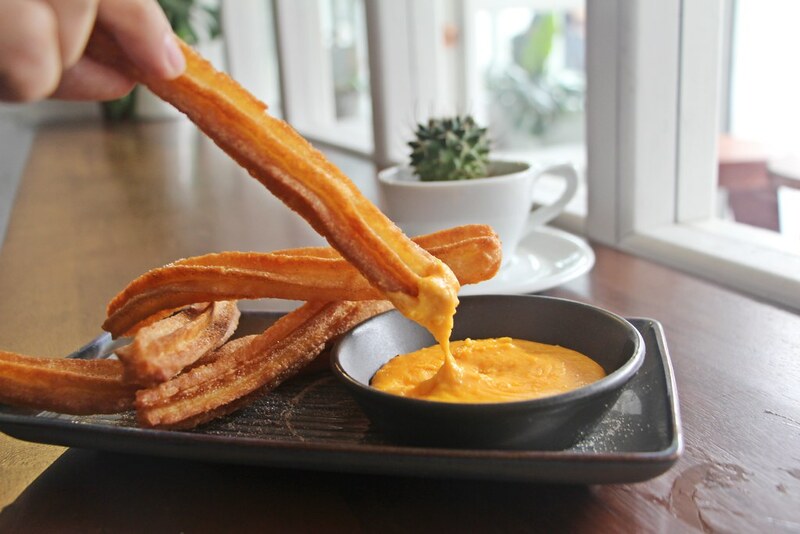 Their churros are made in-house, and you most definitely should not miss out on their salted egg dip. Bev C is both a fashion store and a café. Their chocolate mint cake flies off the shelves. The colours are way too pretty to be missed! Soft serve is trending across the causeway. 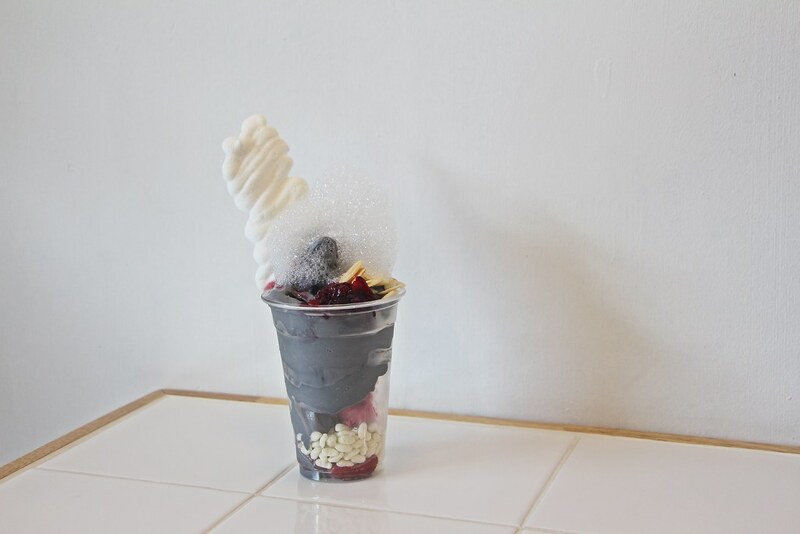 By Grace has opened up a second outlet at Jalan Trus and their charcoal soft serve which carries an earl grey scent is very unique. Seems like black is the new food trend. Located just a few steps from The Replacement Lodge & Kitchen, KOONE is the latest addition in town. It sports a bright pink exterior and you would not miss it even if you wanted to. Their specialty? Soft serves with liquid nitrogen in pink pastel cups. Get your cameras and phones ready as the soft serve starts melting in 30 seconds! J.C Café is about a 20-minute drive from City Square Mall. The café is located along Jalan Serampang which is lined with bridal shops . 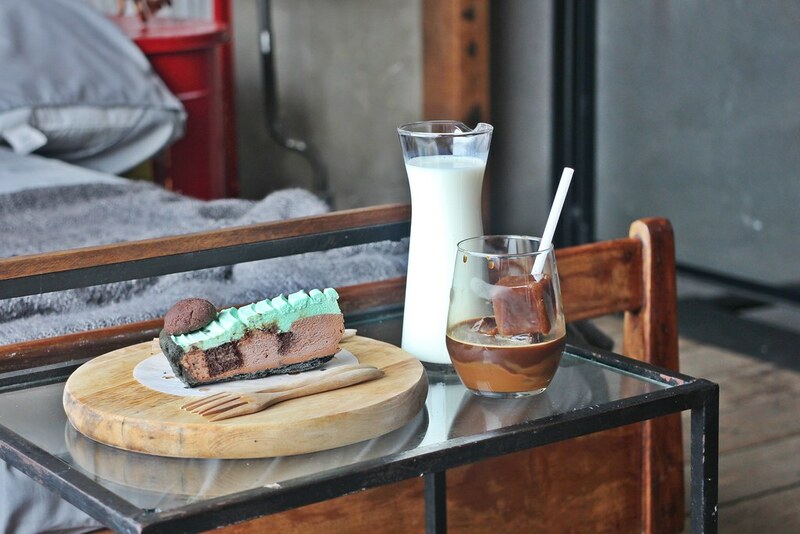 The café has recently added a chocolate milkshake and a matcha milkshake to their menu. A black container lies just a few doors down from J.C Cafe. 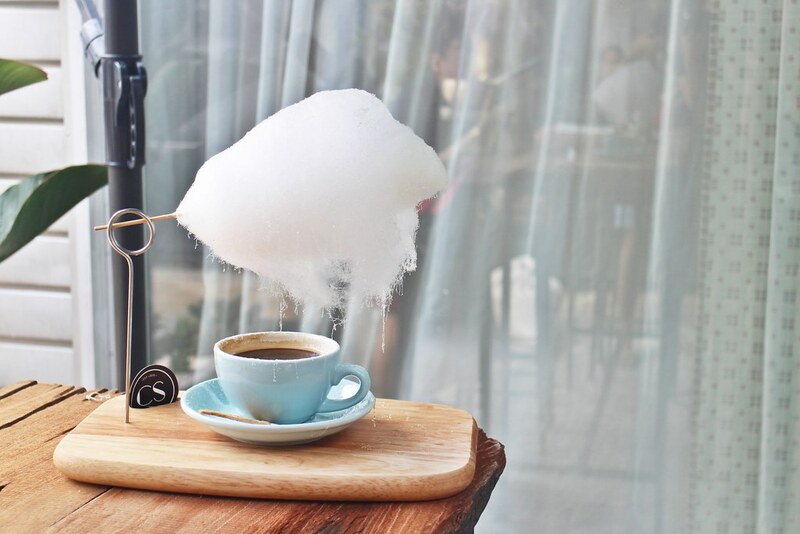 Their signature Sweet Rain features a cloud of cotton candy hanging over your choice of tea or coffee. AIYO SO SWEET! The nearest Scoop Bar from the causeway is located in Plaza Pelangi shopping mall. It’s a 15-minute drive away from City Square Mall. They do ice-cream sandwiches here and you can have a little fun engineering your very own icecream sandwich with the different flavours of cookies available. 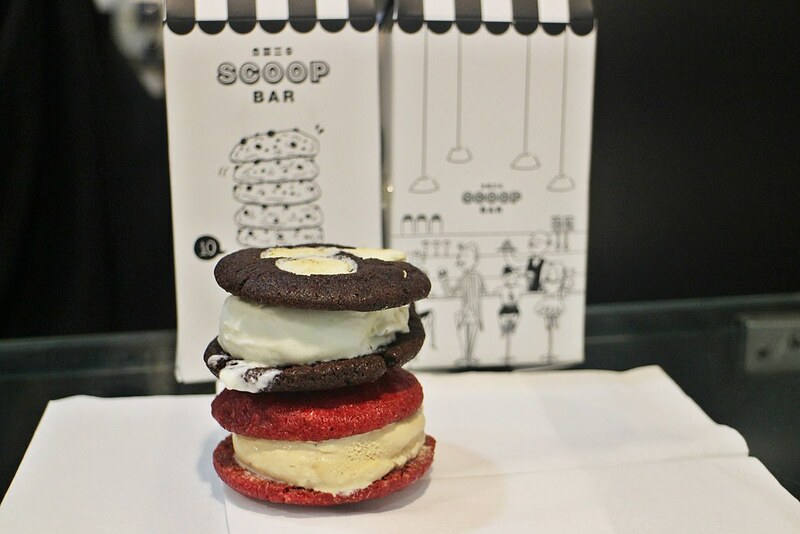 The red velvet cookie and chocolate s’mores cookie sandwiches are certainly good-lookers. 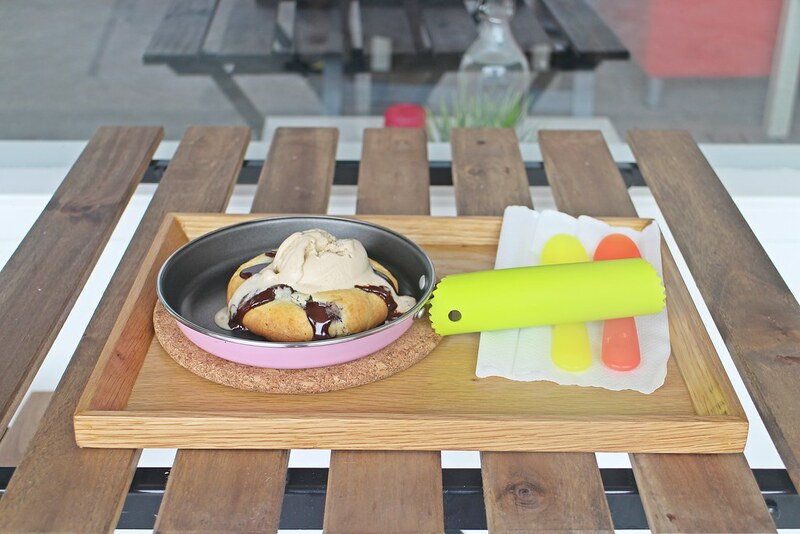 Creamery Boutique Ice Creams located at Mount Austin is a franchise from Bangkok. They are known for their huge lava cookies which, as the name suggests, have molten chocolate cores. 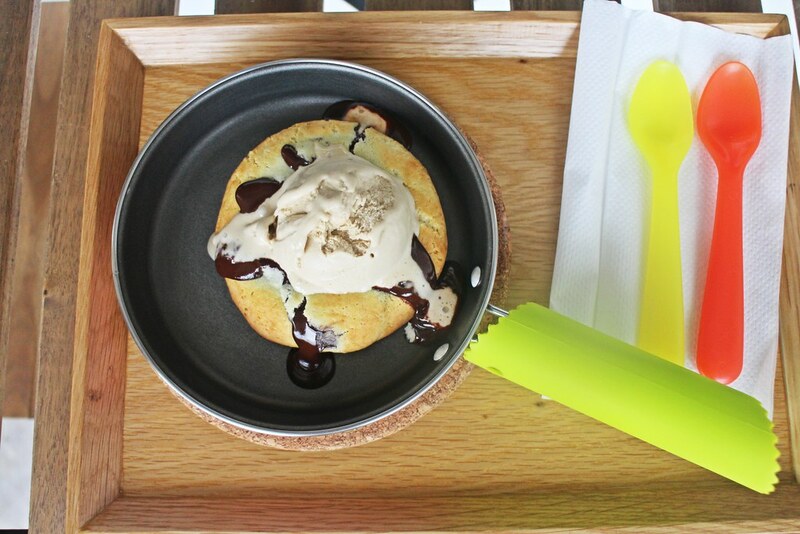 My personal favourite is a combination of a warm lava cookie and Guinness Stout ice-cream. 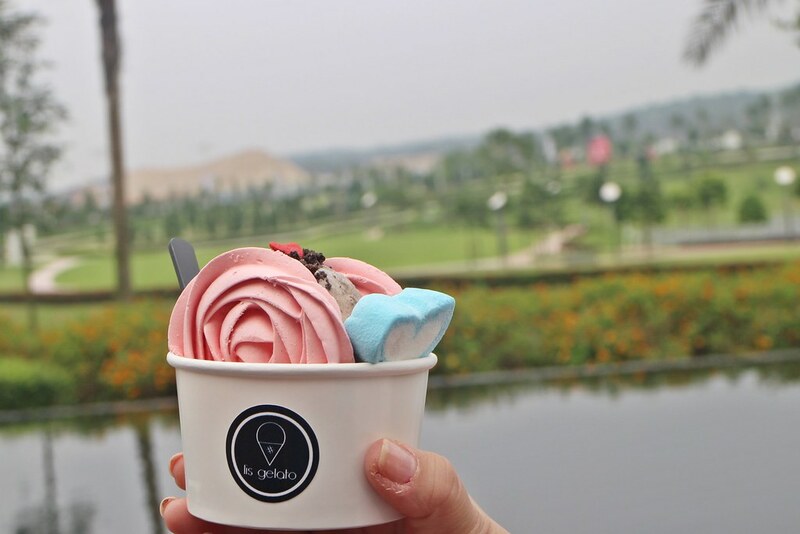 Oh Ice Cream’s first outlet is at KSL shopping mall which is a 20-minute drive from City Square Mall. They have recently expanded to Mount Austin. Their desserts are served in claypots. If you prefer the colour green, go to the Mount Austin outlet. If you rather blue instead, go to their KSL outlet. 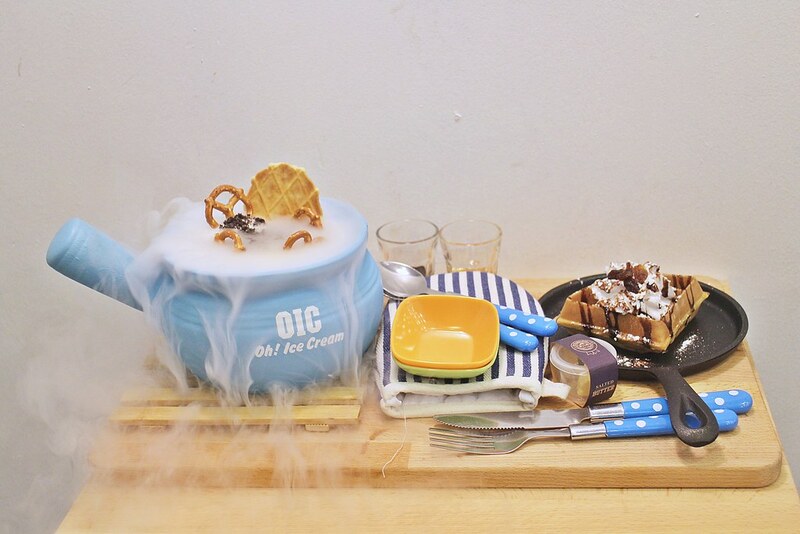 Dry ice is added to create a magical effect. 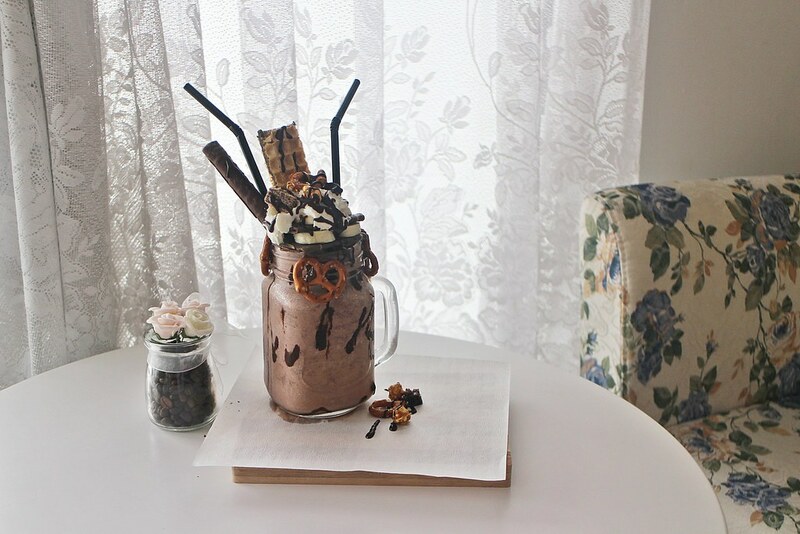 The Sugar Pantry is known for its quality and photogenic desserts. 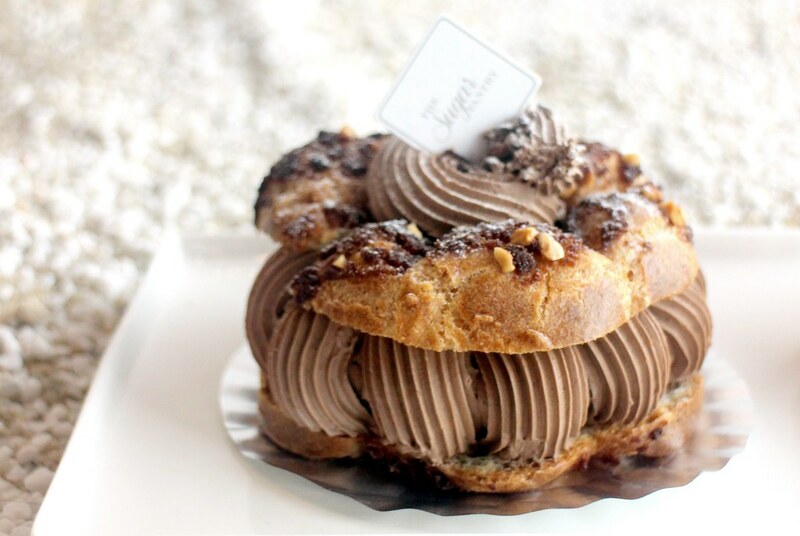 Their best-selling dessert is the Paris Brest which is made of a choux pastry and a praline-flavoured cream. Apart from the Paris Brest, there are many other dessert options that are instagram-worthy too. JWC Homies, located at Taman Molek, sports a cosy and spacious interior. 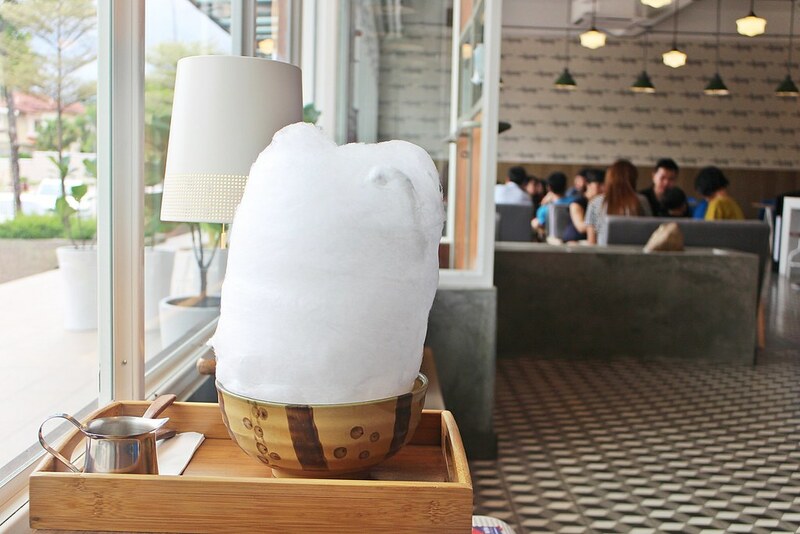 Many visit the place for their cotton candy affogato that comes with ice-cream, cashew nuts and banana slices. Cameras, please! Lis Gelato is currently having a pop-up store at Ecospring Show Village. Their Love is Simple features creamy gelato sandwiched in between colourful crispy cotton candy. The pastel colours are beautiful! Headmost Café, located at Jalan Kuning, is one of the cafes under JWC (Just Want Coffee). Their shibuya toast is one of the more instagram-worthy treats. 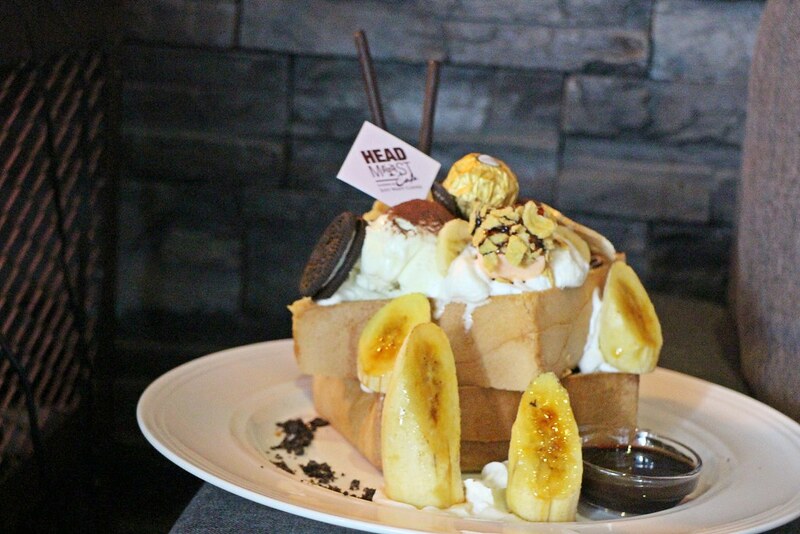 Try their Headmost Special Dessert Honey Toast – a perfect marriage of crispy toast and brain-freezing ice cream! My Liberica is one of the first cafés to take root in Johor Bahru and has been doing better and better over the years. 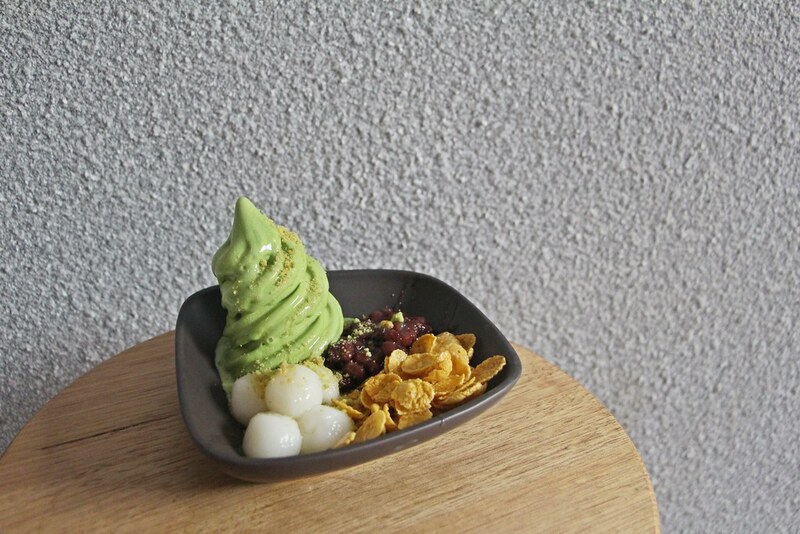 Their newest creation, a green tea parfait, has been very well-received and it looks like it is here to stay. 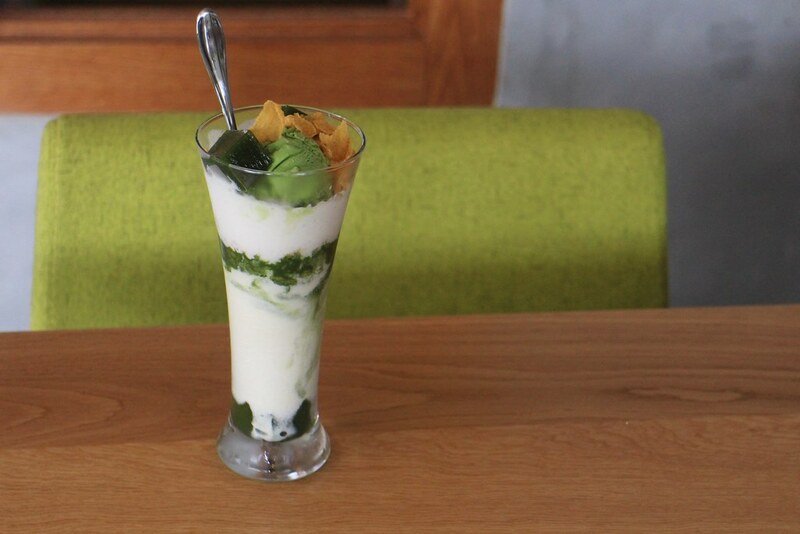 The green tea parfait is currently only available at My Liberica Taman Sutera. 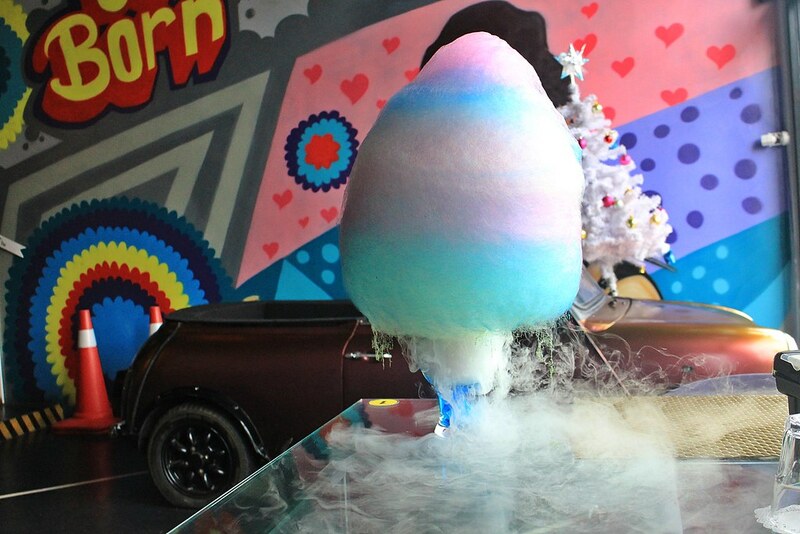 Carborn Café’s rainbow cotton candy caught my attention. They have also come up with a chocolate sphere that contains ice-cream, fruits, nuts and caramel sauce. 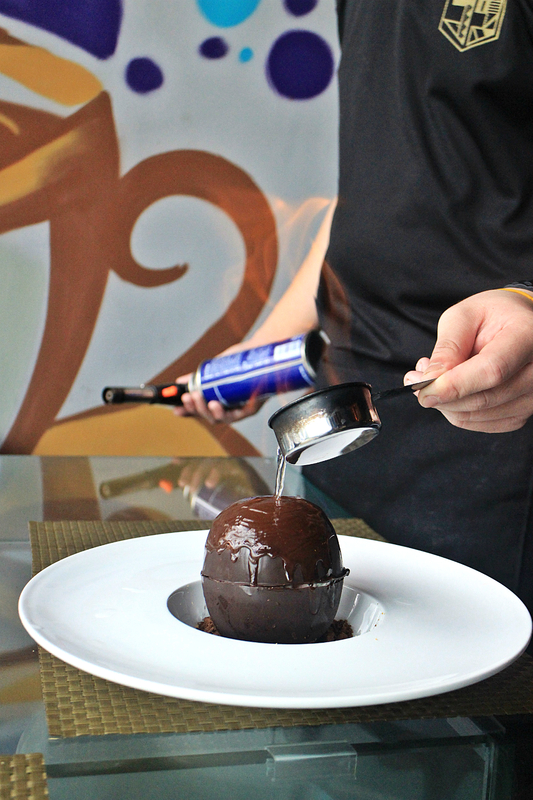 Alcohol is poured over the sphere and the entire get-up is set on fire before the chocolate melts into a pool of liquid gold, exposing what lies within. A visual treat, for sure! 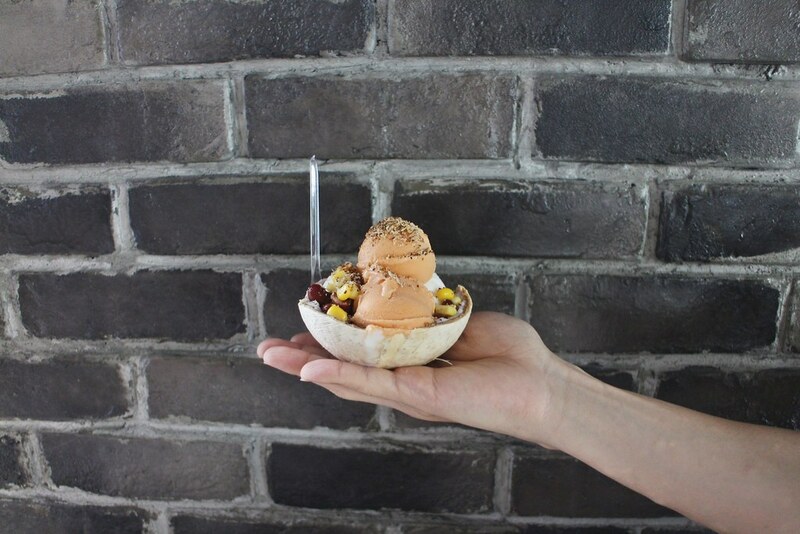 Coconut Ice-cream in a coconut husk is gaining traction in JB. Sangkaya from Kuala Lumpur has finally opened a branch in Mount Austin. The coconut and chai yen flavours are great, especially when paired with a variety of toppings. 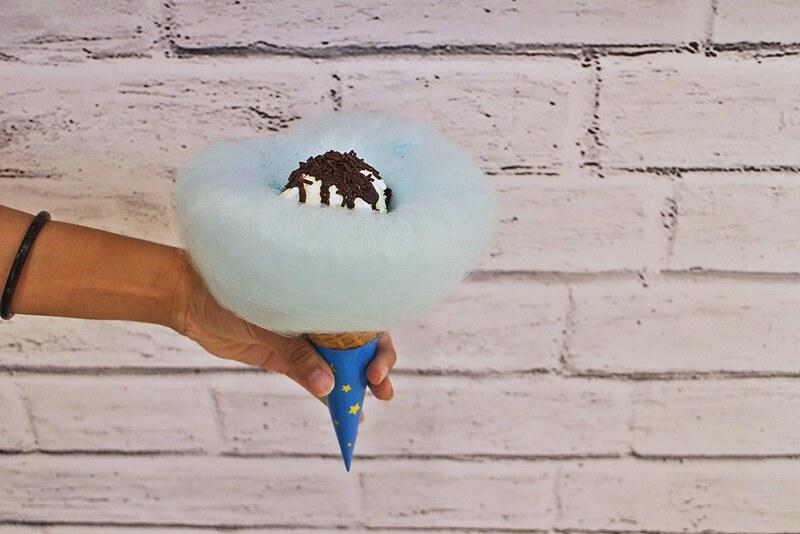 There are quite a number of interesting kiosks in KSL city mall and the latest addition is H-Two O Ice-cream that specializes in cotton candy and ice-cream. I got myself a cotton candy ice-cream cone with a scoop of coconut ice-cream. Text & Photos by Hazel. Born in Malaysia, Hazel loves to travel and soaked herself with enrich cultures and food. Follow her food adventures on her blog.